Nootropics are nutritional supplements that promise various brain benefits. Pictured: HVMN’s Sprint, Neurohacker’s Qualia Mind and Gaia Herbs’s Bacopa. On most mornings, 29-year old Taylor Dolezal makes a cup of tea and gulps down eight different pills, some from packages labeled Sprint and Rise, that the Los Angeles web engineer believes help him perform better at work. “Within the tech community, there’s always that drive to go faster, longer, better,” he says. The pills are nutritional supplements that marketers call nootropics. They promise various brain benefits, from increased memory to greater focus. They are part of a booming supplements category, often containing herbal ingredients and some with prices that can top $100. 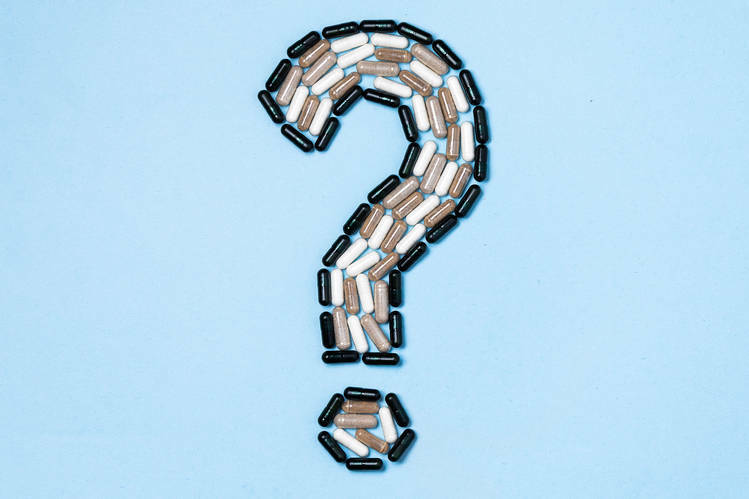 But certain supplements marketed as nootropics in the U.S. may be considered prescription drugs in other countries, raising concerns about safe use by consumers. Supplements aren’t tightly regulated by the U.S. Food and Drug Administration like prescription drugs are. Dietary-supplement manufacturers don’t need approval from the FDA before introducing their products to the market. That has helped make it possible for nootropics to be sold to consumers in stores or online before federal regulators sound cautionary notes. In the year ending Feb. 23, sales of mental-performance supplements reached $217 million, up 46% compared with last year, according to Nielsen. Message boards and marketers talk about “stacking”—a term also used in the bodybuilding community—different supplements to achieve unique combinations and results. But some of the substances have raised concerns from researchers, federal regulators—and even the industry itself for potential side effects and risks for addiction. Nootropics pictured: HVMN’s Sprint, Neurohacker’s Qualia Mind and Gaia Herbs’s Bacopa. The nootropics phenomenon has enjoyed a boost in recent years, from Hollywood films to popular podcasters. “Those things have played a heavy role in bringing the concept into mainstream awareness,” says James Schmachtenberger, chief executive of Neurohacker Collective, an Encinitas, Calif.-based supplements company. In 2016, it launched its Qualia line, whose signature product is a 154-capsule bottle of Mind that sells for $139. Instructions say to take seven capsules with water first thing in the morning before eating. A blend of 28 ingredients include artichoke extract and organic coffeeberry. Mr. Schmachtenberger says Neurohacker Collective sales have increased 40% a year, to $6.6 million in 2018, since the company launched its products three years ago. Consumers can expect to see more nootropics on store shelves in coming months. That type of language is intriguing to consumers looking for any edge. “From the research I did, the downside seemed pretty limited,” says Chip Malt, a 31-year-old founder of an online cookware company. He recently tried Smart Mode, a $56 bottle labeled for “mental endurance and agility” by Bulletproof 360 Inc., over an intense weekend of work. “It helped me get away from distractions and added productivity, especially toward the end of the weekend,” he says. He felt particularly focused on tasks such as making spreadsheets and coding, he says. Research on some of the ingredients sometimes produces mixed results. One Australian study of 107 adults compared the short-term memory of half of the subjects who took a daily supplement of Bacopa with the other half who took a placebo, and found that those on Bacopa had about 5% better scores on a memory test. However, a study in India that looked at the effects of Bacopa solution mixed with other nutrients found no improvements in memory on the 110 children who were on it, compared with those on the plain solution. The reason it worked in one study and not the other is still unclear, says Con Stough, a researcher on both studies who is a professor of cognitive neuroscience at Swinburne University in Melbourne, Australia. He adds that Bacopa—alone and in combination with the other ingredients—didn’t produce any harmful effects on any of the subjects. He is continuing to study Bacopa and other ingredients for memory and brain function. Mark Moyad, a director of complementary medicine at the University of Michigan Medical Center, says that most human studies on brain supplements typically have sample sizes of fewer than 50 people and last less than six months. Companies say that while research is still small-scale, some consumers swear by the products. “Once people have an opportunity to try it, they never want to get off of it,” says Neurohacker’s Mr. Schmachtenberger. He adds that he doesn’t believe the product is addictive. “The desperation is there. Consumers are flooding the market,” Dr. Moyad says. While some research offers mixed signals, there are also numerous small-scale, preliminary studies that are encouraging, he adds. “Let’s step this up and test these over-the-counter products like they should be tested.” He says he would want to see studies with sample sizes of at least 100 people, performed for six months to a year, in order to recommend any supplement to patients. Even then, he says, ingredients are typically studied on their own, but could have new and unintended effects when combined with a long list of other ingredients. Consumers shouldn’t use themselves as test cases, he says. If a supplement could potentially help you think or perform tasks better—but research wasn’t definitive—would you take it anyway? Why or why not? Join the conversation below. On Sept. 6, 2016, the FDA announced a “tentative conclusion” that Vinpocetine, a synthetically produced supplement commonly marketed as a nootropic for memory and focus, didn’t meet the definition of a dietary supplement. The Council for Responsible Nutrition, a Washington, D.C.-based trade association for the supplements industry, says it “disagreed vehemently” with the FDA’s tentative position and that the synthetically derived version is identical to the chemical found in the plant, says Andrew Shao, the association’s interim senior vice president of scientific and regulatory affairs. For its part, the FDA says it is currently in the process of evaluating the safety and legality of Phenibut, according to Ms. Haake.